The Telecom Ministry is likely to allocate 2,100 MHz spectrum to public sector undertaking Bharat Sanchar Nigam Limited (BSNL) shortly. “We are looking at it very positively. 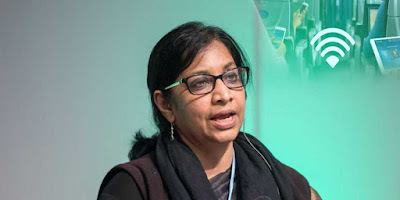 We can expect the decision on the issue very soon,” Aruna Sundararajan, Telecom Secretary and Chairman of the Telecom Commission told the media. As per the sources in the ministry, the application is in the final stages and the decision is expected to be out in a couple of months. Last year, BSNL had sought spectrum in the 2,100 MHz band for all circles, except Rajasthan, where the company is looking for spectrum in the 800 MHz band. The total tab, BSNL reckoned, would be about Rs 9,600 crore. BSNL expects to pay half of this amount through equity route (by issuing additional shares to the government) if allowed, and the rest through revenue generated from business, she added. Many BSNL senior officials, on condition of anonymity, have expressed unhappiness over the delay of allocation of spectrum. The secretary, however declined of upping the talent pool at the state-run telecom services provider. “I personally believe that BSNL has outstanding human resources. The main thing is that they need to continue to invest in the new technologies,” she said on hiring plans for BSNL.